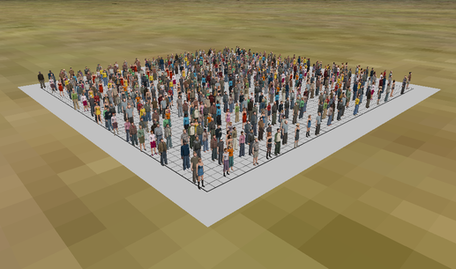 The impact of crowd density (the number of people per square metre) for a standing crowd and a moving crowd is important to�understand for crowd safety. 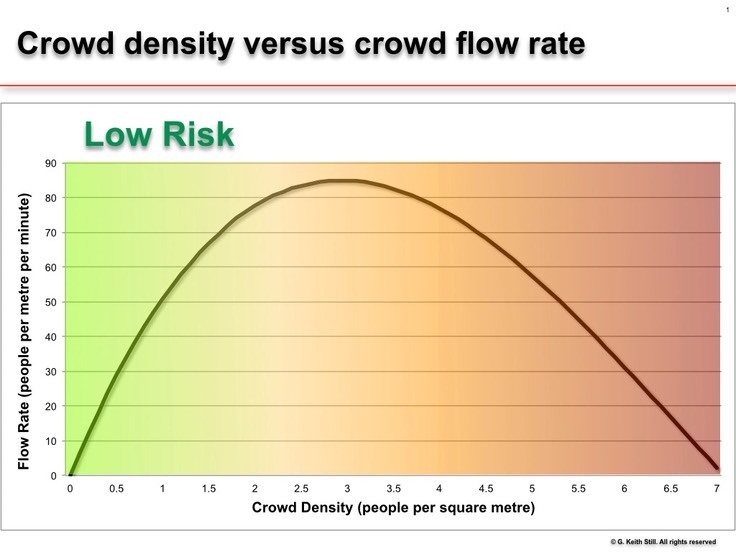 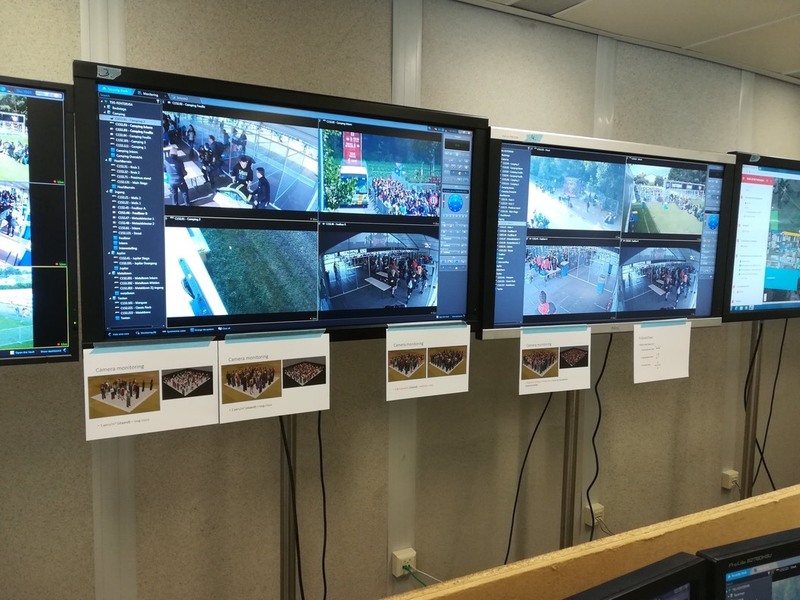 For example, to assess�the efficiency of crowd movement, throughput and rates of fill for places of public assembly you need to understand the relative risks of both standing crowd density and the moving crowd density. 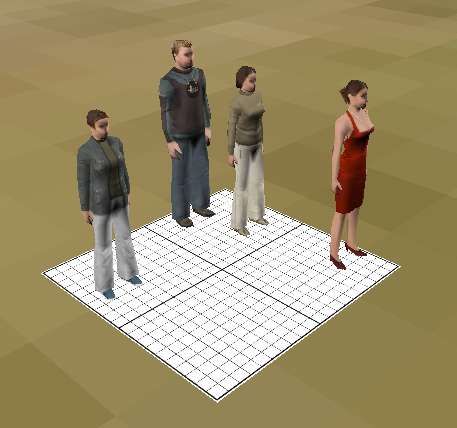 The diagrams below illustrate the standing density in people per square metre. 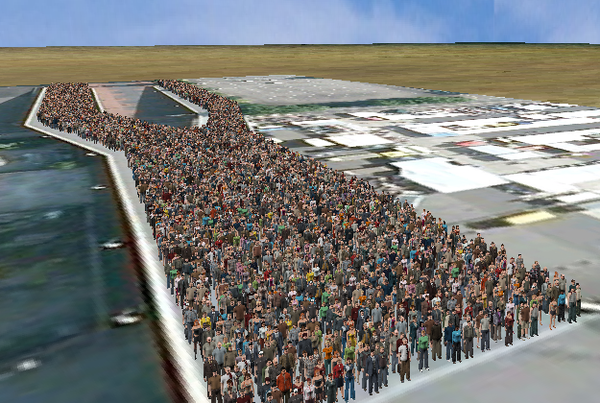 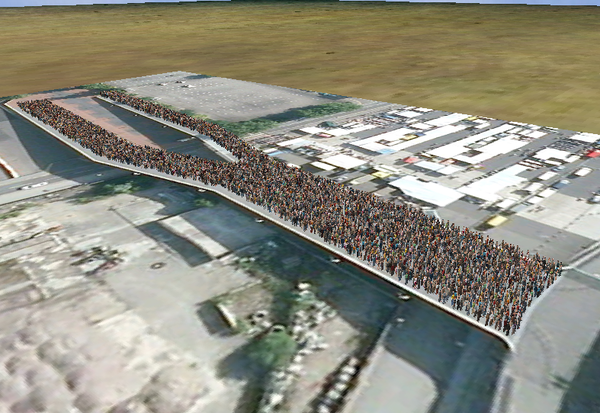 This page (click here for link) shows the moving crowd density requirements. 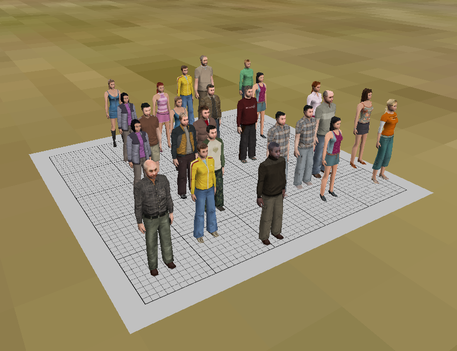 1 person per square metre. 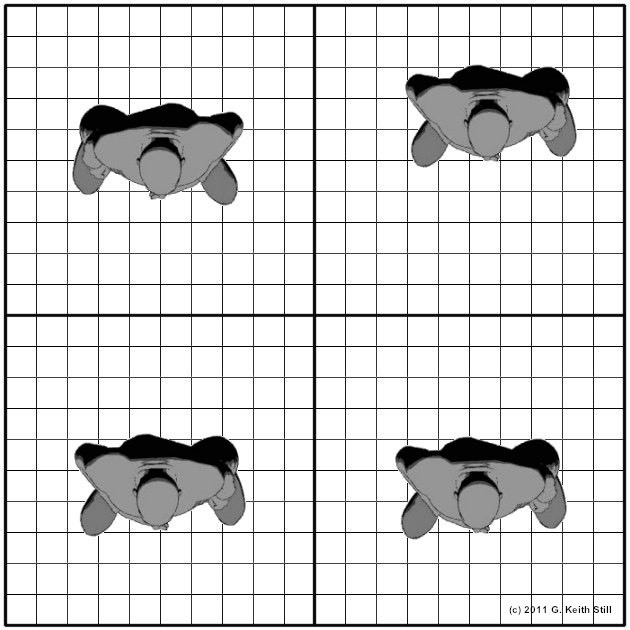 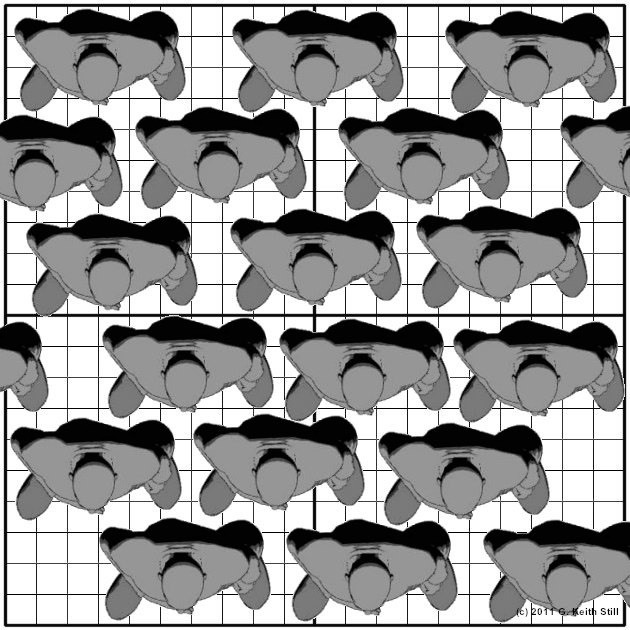 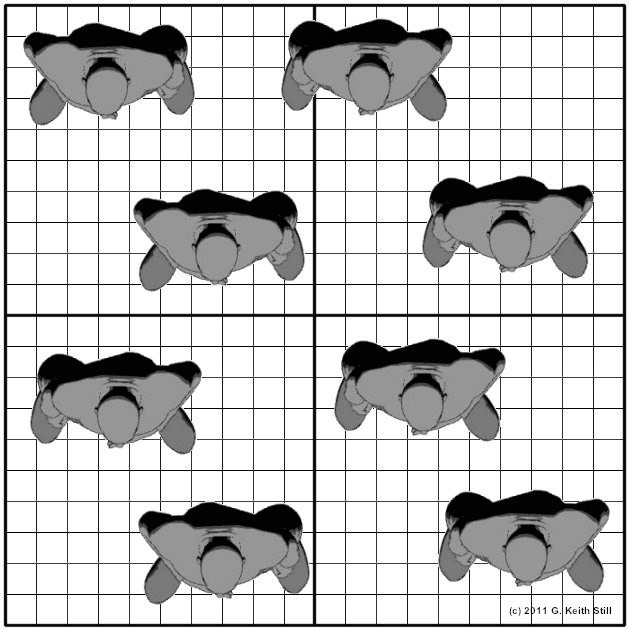 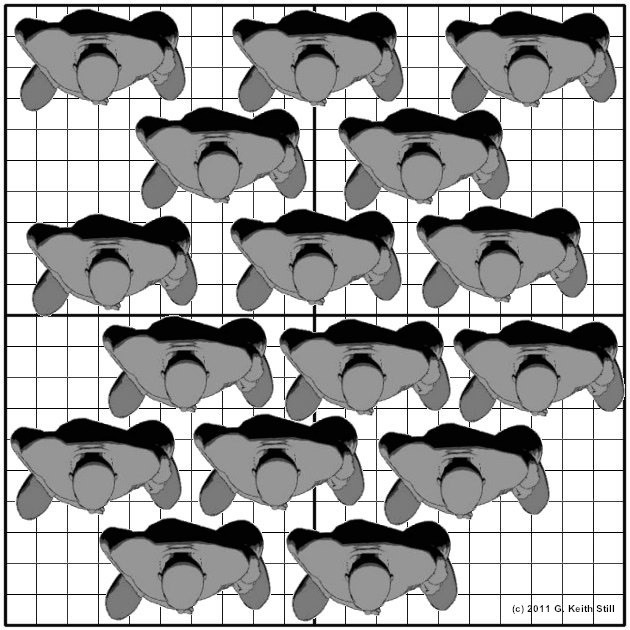 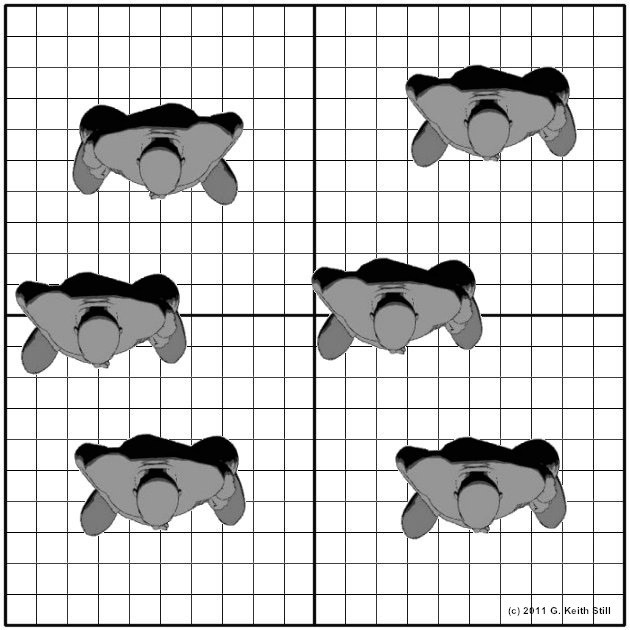 Above the image is created with one person in each square, below 1 person per square metre but with random distribution (2�people in one square and 0 persons in the fourth). 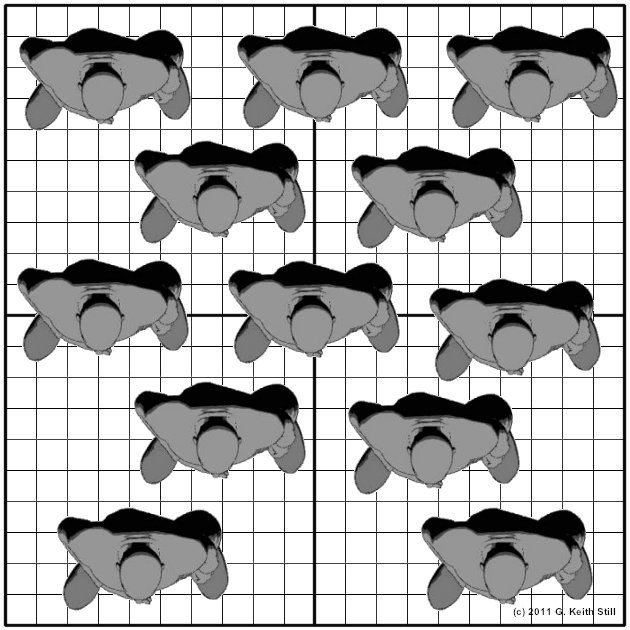 Both of these images represents 1 person�per square metre packing density. 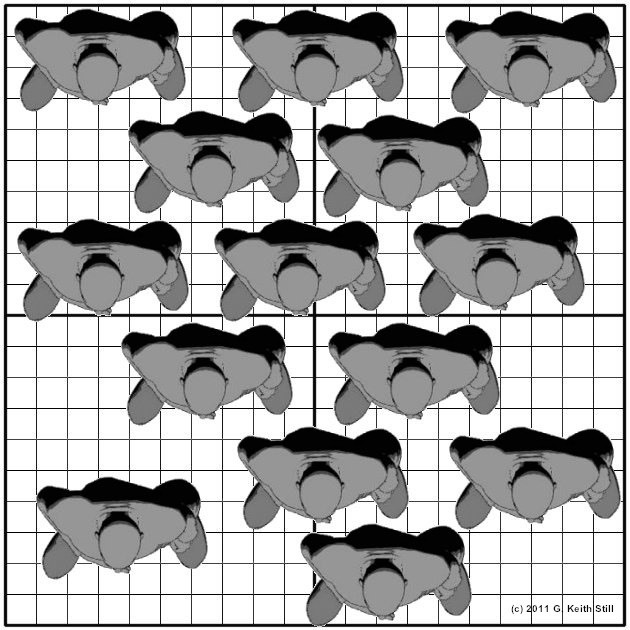 Crowds rarely pack in regular formation. 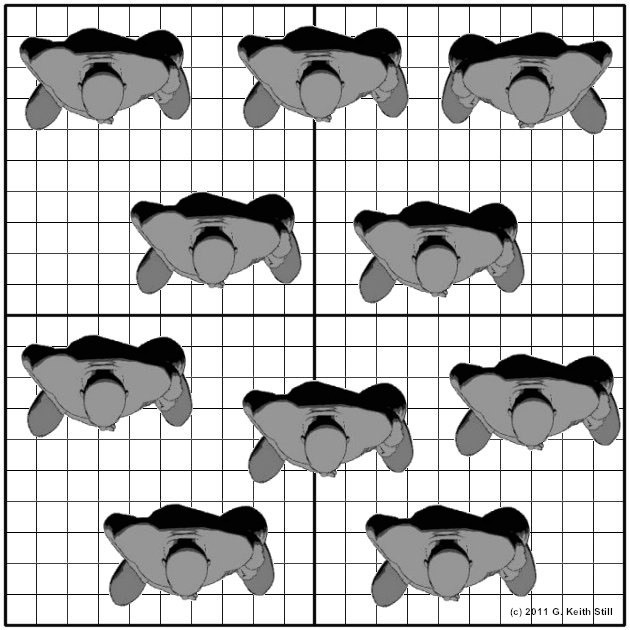 Above and below 1 person per square metre. 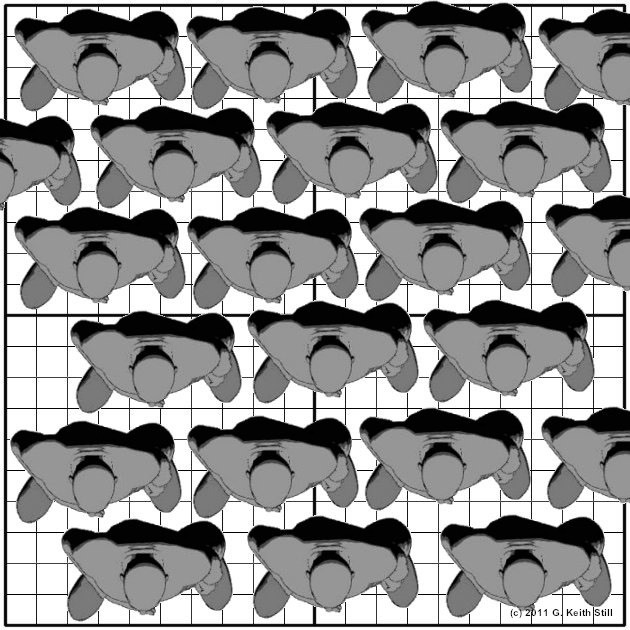 Above - animated graph of the flow v density curve.